My research activities are usually carried out inside research projects that involve other universities or industries across Europe. Currently I’m involved in the ATMOSPHERE project. I was Polimi unit leader for DICE and EUBRA-BIGSEA projects and I was also the principal investigator of the GAME-IT project funded by Politecnico di Milano and of the PARVIS project funded by IBM. In the past I have been involved in the MODAClouds, SMSCom, Q-ImPrESS, WS-Diamond, DISCoRSO, MAIS, and WASFO projects and S-Cube Network of Excellence. ATMOSPHERE (Adaptive, Trustworthy, Manageable, Orchestrated, Secure, Privacy-assuring Hybrid, Ecosystem for REsilient Cloud Computing) aims to design and implement a framework and platform relying on lightweight virtualization, hybrid resources and Europe and Brazil federated infrastructures to develop, build, deploy, measure and evolve trustworthy, cloud-enabled applications. ATMOSPHERE will provide solutions to assess trustworthiness of cloud applications dealing with data and support the development of more trustworthy cloud applications. ATMOSPHERE is a 24-month European and Brazilian Research Innovation Action project in the field of Cloud Computing, funded by European Commission and RNP and MCTIC, under the EUB-01-2017 call. Trust is built based on guarantees, previous successful experiences, transparency and accountability. Yet, to-date, the technologies and frameworks necessary to raise confidence on cloud and Big Data applications is still lacking. It is crucial to create this confidence to encourage different business sectors to take up this technology and ultimately improve business efficiency and competitiveness. The ATMOSPHERE project focuses on this issue. DICE (Developing Data-Intensive Cloud Applications with Iterative Quality Enhancements) is an Horizon 2020 research and innovation action started in February 2015, funded under the ICT-09-2014 sub-call. DICE aims at defining a quality-driven development framework for Big Data applications running in private or public clouds. DICE will offer a novel UML profile and tools that will help software designers reasoning about reliability, safety and efficiency of Big Data applications. The DICE methodology will cover quality assessment, architecture enhancement, agile delivery, continuous testing and deployment, relying on principles of the emerging DevOps paradigm. Tackling skill shortage and steep learning curves in quality-driven development and Big Data technologies through open source development tools, models, and methods. Shortening the time to market for data-intensive applications that meet quality requirements, thus reducing costs for independent software vendors, while increasing value for end users. Reducing the number and the severity of quality-related incidents by iteratively learning application runtime behavior, feeding back the information to the developers. EUBra-BIGSEA will develop advanced cloud services to support Big Data. These cloud services will address three main challenges: a) Quality of Service (smart policies for vertical and horizontal elastic adjustment of resources allocated to meet deadlines and dynamic adjustment of workloads at the level of Virtual Machines, containers and physical servers) and integrated monitoring of resources beyond what current Cloud Management Platforms currently provide; b) the support of advanced business models (price-based, dynamic re-scheduling of data analyses to exploit the best use of infrastructural resources, minimising costs) for on-premise or public infrastructures; and c) the usage of standards for the definition of the software appliances. The project will provide a programming abstraction layer to facilitate the development of applications. This layer will expose a coherent high-level API for data analytics, as well as for the building and deployment of innovative Big Data services in the cloud for capturing, federating and annotating large volumes of data on top of efficient programming models. Coupled with this, EUBra-BIGSEA will design a set of innovative technologies for guaranteeing the fulfilment of the security and privacy policies, as well as the development of efficient mechanisms for guaranteeing privacy on the Big Data scenario where conventional techniques cannot be applied. 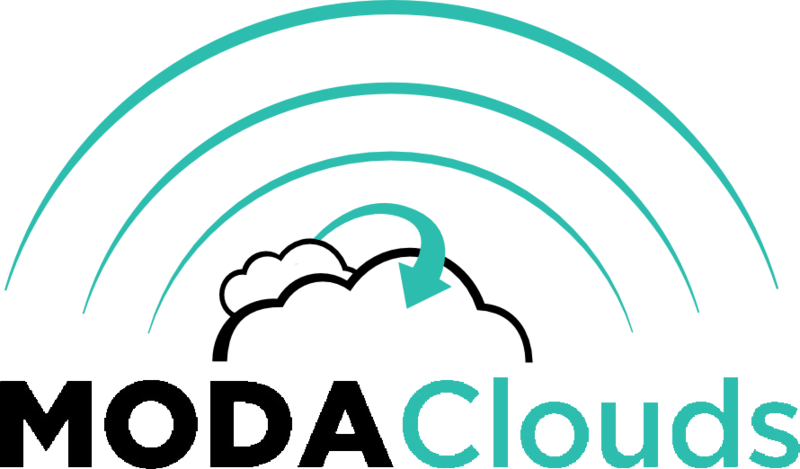 MODAClouds (MOdel-Driven Approach for design and execution of applications on multiple Clouds) is an Integrate Project (IP) funded under the European Union’s Seventh Framework Programme, within the Cloud Computing, Internet of Services and Advanced Software Engineering objective. Current Cloud’s offer is becoming day by day wider providing a vibrant technical environment, where SMEs can create innovative solutions and evolve their services. Cloud promises cheap and flexible services to end-users at a much larger scale than before. However, Cloud business models and technologies are still in their initial hype and characterized by critical early stage issues, which pose specific challenges and require advanced software engineering methods. The main goal of MODAClouds is to provide methods, a decision support system, an open source IDE and run-time environment for the high-level design, early prototyping, semi-automatic code generation, and automatic deployment of applications on multi-Clouds with guaranteed QoS. Model-driven development combined with novel model-driven risk analysis and quality prediction will enable developers to specify Cloud-provider independent models enriched with quality parameters, implement these, perform quality prediction, monitor applications at run-time and optimize them based on the feedback, thus filling the gap between design and run-time. Additionally, MODAClouds provides techniques for data mapping and synchronization among multiple Clouds. More information about the MODAClouds project can be found in the official web site. Emerging requirements are challenging our current knowledge about software engineering, and require a shift from the incremental improvements we have experienced in the past to radical changes to the way software is conceived, developed, and operated. In particular: (i) Software development and operation are increasingly decentralized; applications are composed dynamically out of parts that are developed and operated by independent parties. (ii) Changes in the requirements ask for continuous software adaptation and evolution. (iii) The infrastructures on which applications run are fully distributed and can change both in physical and in logical structure; the so-called Internet of Things is fostering a situation where computing power and connectivity are not only possible any-time and any-place, but also for any-thing. As a consequence, software must behave in a situational, self-managing manner. The term situational indicates that software is built to address a particular situation, problem, or challenge, and behaves according to the evolving situation in which it operates. Developing and running situational software imposes a paradigmatic shift from a fairly conventional design-implement-maintain development, in which the application builders are skilled professionals, to new and challenging scenario in which bits of applications are built by professionals, then composed (in an autonomic way, or by users without formal training) in myriad and unpredictable possible ways. The SMScom (Self-Managing Situated Computing) project (ERC Advanced Investigator Grant N. 227977) aims at developing a consistent, integrated, and homogeneous set of methods and tools for the design, validation, and operation of dependable self-managing situational software. More information about the SMSCom project can be found in the official web site. Q-ImPrESS (Quality Impact Prediction for Evolving Service-oriented Software) is a medium-sized focused research project (STREP) funded under the European Union’s Seventh Framework Programme, within the ICT Service and Software Architectures, Infrastructures and Engineering priority. Today, complex software systems are an integral part of many every day products and services from diverse application domains. All these systems need to evolve over long periods of time and service orientation provides the flexibility needed to adapt them to ever changing requirements. Unfortunately, current standards for service-oriented development do not support the analysis of software systems with respect to their quality of service and as a result, many major innovative application domains are not fully exploiting the advantages of service orientation. The Q-ImPrESS project aims at bringing service orientation to critical application domains, such as industrial production control, telecommunication and critical enterprise applications, where guaranteed end-to-end quality of service is particularly important. The main challenge here is to create a method for quality-driven software development and evolution, where the consequences of design decisions and system resource changes on performance, reliability and maintainability can be foreseen through quality impact analysis and simulation. 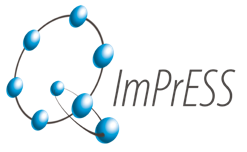 More information about the Q-ImPrESS project can be found in the official web site. In recent years, the energy consumption associated with Information Technology (IT) infrastructures has been steadily increasing. The reduction of energy usage is one of the primary goals of green computing, a new discipline and practice of using computing resources with a focus on the impact of IT on the environment. For example, the US Department of Energy’s 2007 estimate of 59 billion kWh spent in US data centres translates to several million tons of coal consumption and CO2 emission per year. Overall, IT accounts for 2% of global CO2 emissions, i.e., IT pollutes to the same extent as the global air traffic. A significant amount of work has been done to achieve power reduction of hardware devices (e.g., in mobile systems to extend battery life). Nowadays, low power techniques and energy savings mechanisms are being introduced also in data centers environments. In such systems, software is accessed as a service and computational capacity is provided on demand to many customers who share a pool of IT resources. Energy savings can be obtained by dynamically allocating computing resources among running applications and trading off application performance levels with energy consumption. As the customers’ access rates change significantly within a single business day, energy-aware resource allocation is a challenging problem and techniques able to control the system at very fine grained time scales and in transient conditions are needed. The aim of the GAME-IT (Green Active Management of Energy in IT systems) research is the development of a systematic set of methods and tools towards the design of novel resource allocation policies for energy-aware computing systems. The project will develop an advanced middleware framework for the management of IT systems based on Service Oriented Architecture via a novel interdisciplinary approach grounded on expertise from several research areas: service technologies, optimization, performance evaluation, model identification and control theory. GAME-IT is one of the 8 projects selected out of 77 proposals by Politecnico di Milano to support junior researchers. More information about the GAME-IT project can be found in the official web site. The problem is made particularly challenging by the high variability of the incoming workload, which can change, by several orders of magnitude within a single business day. Techniques able to model and control the system at very ï¬ne-grained time scales and in transient conditions have to be developed. The aim of PARVIS (Performance mAnagement of VIrtualized Systems) is to develop novel resource allocation policies for smart dependable virtualized cloud infrastructures via an interdisciplinary approach. This research is has been funded by IBM with the IBM Faculty Award 2010. More information about the PARVIS project can be found in the official web site. S-Cube the European Network of Excellence in Software Services and Systems, will establish an integrated, multidisciplinary, vibrant research community. This will enable Europe to lead the software-services revolution, thereby helping shape the software-service based Internet which is the backbone of our future interactive society. More information about the S-Cube can be found in the official web site. WS-Diamond (Web Services – DIAgnosability, Monitoring and Diagnosis) is a project of the Sixth Framework Programme Priority2 – Information Society Technologies. It’s a Specific Targeted Research or Innovation Project. Self-healing software is one of the challenges for IST research. This project aims to take a step in this direction by developing a framework for self-healing Web Services. demonstration of these results on real applications. More information about the WS-Diamond project can be found in the official web site. The goal of the DISCoRSO (Distributed Information System for CoORdinated Service Oriented interoperability ) project is the implementation of a Service-based platform that enable the automation of the supply chain within industrial districts and the cooperation of Small and Medium Enterprises (SME). More information about the DISCoRSO project can be found in the official web site. The current fast evolution in the ICT world suggests that it will be possible to offer access to information systems, in a ubiquitous way, through various kinds of interaction devices (PCs, laptops, palmtops, cellular phones, TV sets, and so on). The MAIS (Multichannel Adaptive Information Systems) project main research goal was to provide a flexible environment to adapt the interaction and provided information and services according to ever changing requirements, execution contexts, and user needs. More information about the MAIS project can be found in the official web site. The WASFO (Workload Analysis for Server Farm Optimization) projects starts from the collaboration among IBM Italy, Politecnico di Milano and the Universita’ degli Studi di Milano. The project aims to study and develop optimization algorithms and a software tool to determine the Server Farm of minimum cost able to support Servers Consolidations Projects and guarantee high availability and scalability of the physical infrastructure. The research is performed under the SSME (Services Sciences, Management and Engineering) IBM initiative. More information about the WASFO project can be found at the IBM web site.